The celebration of Jesus’ Ascension is a church festival that I have always chosen to ignore. The ancient tradition that has Jesus floating up into the clouds stretches the credibility of the church to such an extent that I’ve always assumed that the less said about the Ascension the better. But I was challenged by a parishioner to try to make some sense out of the Ascension story so that 21st century Christians would not have to check their brains at the door should they happen upon a congregation that still celebrated the day. What follows is a transcript of my attempt to leave behind the miraculous Jesus in order to be better able to welcome the human Jesus down from the clouds. I am indebted to Bishop John Shelby Spong together with Clay Nelson of St Matthew-in-the-city for their liberating insights. Traditionally, on the 40th day after Easter, the church celebrates the feast of the Ascension. 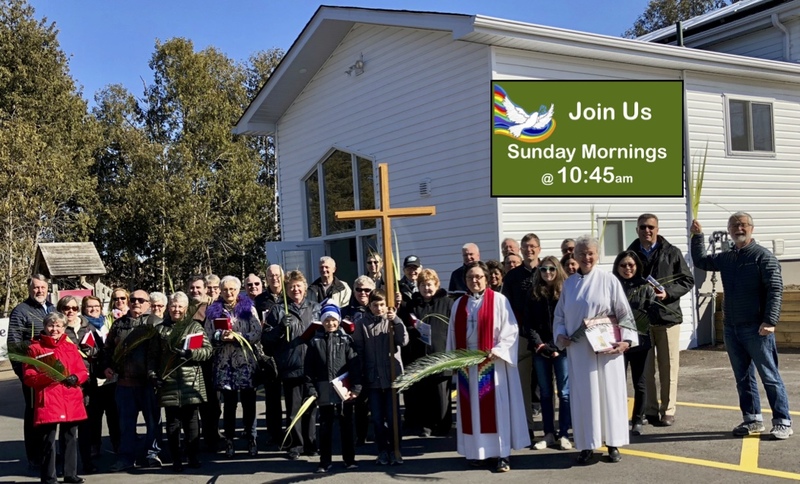 But because so few people in the 21st century are willing to come to church during the week, the Ascension is celebrated by the church on the first Sunday after the feast of the Ascension. Since I have been your pastor we have not celebrated Ascension Sunday. But as this particular Ascension Sunday follows so closely after Jack Spong’s visit with us, I thought that it was about time that rather than avoid the Ascension, I’d like to try to confront it. With that said, let me just say, that the Ascension never actually happened. It is not an historical event. If a tourist with a video camera had been there in Bethany they would have recorded absolutely nothing. I know what the Nicene Creed says, “Jesus ascended into heaven and is seated at the right hand of the Father.” But like the members of the early church, I do not have a literal understanding of the scriptures. And so, as I do not understand the Bible literally, neither do I understand the Nicene Creed to be a literal interpretation of the faith. Like all creeds the Nicene, Apostles and Athanasian creeds are snapshots of theology as it was at a particular time in history. We would do well to remember that the Creeds were developed to answer questions about the faith in a time when people understood the cosmos to be comprised of a flat earth, where God resides above in the heavens and located beneath the earth were the pits of hell. I know that the universe is infinite. I also know about gravity. I also know that it is highly unlikely that Jesus had helium flowing through his veins. I’ve flown around the world, and I can tell you that there is no heaven above the clouds. So, I can say with confidence that: The very present Jesus of resurrection faith did not literally elevate into heaven while his disciples looked on. The writer of the Gospel according to Luke and the Book of Acts are one and the same person. The same writer wrote the Gospel according to Luke to tell the story of the life of Jesus and the Book of Acts to tell the story of the Holy Spirit at work in the followers of Jesus. Although we don’t know who the author was, we do know that he was not an historian. Neither Luke nor Acts are historical accounts. They are both addressed to a character named Theopholus. Theopholus is Greek for lover of God. The books are addressed to the lovers of God, that’s you and me and the author makes it clear that he has written these books so that we, the lovers of God, can believe and have faith. The books were written somewhere near the end of the first century. Somewhere between 50 to 60 years after the death of Jesus. Perhaps between 80 and 95 of this Common Era. The important question for most biblical scholars is not whether the Ascension actually happened but rather, what did the Ascension mean to the author in his context. And to that question we might add a more pressing question: Given what the Ascension meant in the first century, does it continue to have any relevance for those of us who live in the 21st century? I believe that the followers of Jesus experiences of Jesus the man were so overwhelming that they saw in him the human face of God. I also believe that in very powerful ways the followers of Jesus continued to experience Jesus presence. Those powerful experiences of Jesus after his death were so intense that they defied description. Given that Jesus was now dead and gone, yet his presence still seemed to be with them, the followers of Jesus used the Hebrew story of Elijah and Elisha to construct a belief about the Spirit of Jesus continuing to be powerfully among them. By the time the writer of Luke and Acts got around to writing these stories down, there were different versions of the story being passed around in the early church. The writer of Luke/Acts paints a picture of a re-formed bodily Jesus going up into the heavens in the Ascension and a windy, fiery Spirit coming down at Pentecost. The writer uses powerful familiar Hebrew images to portray the experiences of Jesus’ followers after his death. In order for us to move beyond the literal and beyond the historical and even beyond the metaphorical meaning to arrive at the meaning that the story of the Ascension can have for us today in this time and in this place, I’d like to tell you two stories that I heard about from a preacher who serves an Anglican parish in Auckland, New Zealand. Clay Nelson is a friend of Jack Spong who tells great stories. The first story is an actual, literal, historically accurate Ascension story followed by a metaphorical Ascension story. The literal historical Ascension story took place in 1982. But it the story that actually began some twenty years earlier when Larry Walters was just 13 years old and he saw weather balloons hanging from the ceiling of an Army & Navy surplus store. It was then that Larry knew that some day he would be carried up to the heavens by balloons. 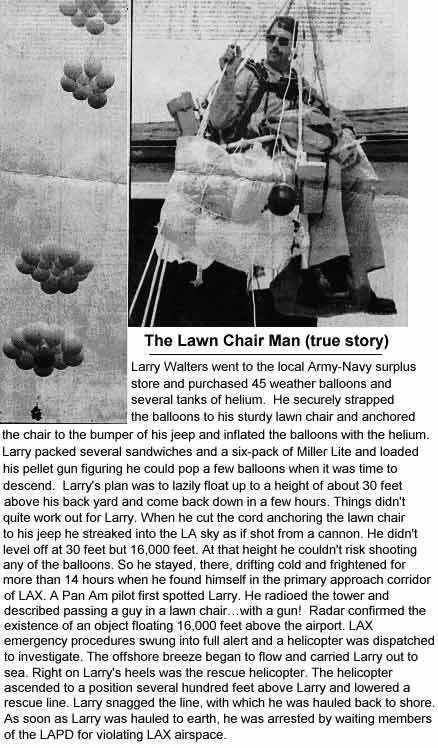 Sure enough when he was 33 years old, on July 2nd 1982, Larry Walters tied 42 helium-filled balloons to a lawn chair in the backyard of his girlfriend’s house in San Pedro, California. With the help of his friends, Larry secured himself into the lawn chair that was anchored to the bumper of a friend’s car, by two nylon tethers. Larry packed several sandwiches and a six-pack of Miller Lite and loaded his pellet gun so that he could pop a few balloons when he was ready to come down. His goal was to sail across the desert and hopefully make it to the Rocky Mountains in a few days. But things didn’t quite work out for Larry. When he cut the cord anchoring the lawn chair the second one snapped, launching Larry into the skies above Los Angeles. Instead of leveling off at about 30 feet as he’d planned, Larry rose to 16,000 feet and at that height Larry couldn’t risk shooting any of the balloons. So he stayed up there drifting cold and frightened for more than 14 hours when he found himself in the primary flight approach corridor for LAX. Legend has it that a Pan Am pilot was the first to spot Larry and quickly radioed the tower telling them that he’d just passed a guy in a lawn chair with a gun. The Federal Aviation Administration was not amused. Larry started shooting out the balloons to start his descent but accidentally dropped the gun. After drifting for a couple of hours he eventually landed in a Long Beach neighbourhood entangled in some power lines. Larry survived without any serious injuries. Now that is an historically accurate ascension story. It’s a funny story and a true story, but it is not a life changing story. But Larry did inspire a wonderful Australian movie, called Danny Deckchair, which is untrue, is in fact full of truth. Now when a New Zealander recommends an Australian movie, I take notice, so yesterday I watched Danny Deckchair and I do believe that it is a modern metaphorical interpretation of the Ascension. The movie’s hero, Danny, is a bored labourer who drives a cement mixer. Danny is an unlikely Christ figure whose story is similar to Larry’s. Danny ascends from his backyard in Sydney during a barbecue and lands less than gracefully in a small town in the Australian outback. By this act of departure and arrival everything changes not only for Danny, but also for those he left behind and those he meets in the outback. Danny’s unique departure inspires those at home to take risks of their own: to live life more boldly, to act on their dreams, to become all they can be. In acting out his dream, Danny finds new confidence and becomes the source of inspiration and affirmation for the townsfolk in the outback who used to see themselves as backwater hicks, but now see the importance of their actions in the life of their town. 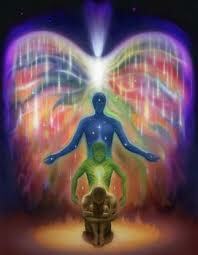 Everyone is transformed by Danny’s ascension. New Life and love accompany his resurrection. The writer of Luke/Acts two versions of Jesus’ Ascension are not true like Larry’s lift off but are true like Danny Deckchair. While the event certainly did not happen in a literal way, the story does attempt to capture the quality of a real man whose coming and going in their lives changed them forever. The writer of Luke/Acts Ascension story is not so miraculous after all. The Ascension story is about the joy the disciples felt about the ongoing ever so real presence of Jesus after his death. The God they saw in Jesus they found in themselves. In Jesus’ departure they discovered that they could love as wastefully as he did. They could live abundantly as Jesus did. They could heal and reconcile just as Jesus did. With Jesus pointing the way they had found God and while Jesus was gone, the God that Jesus pointed to was everywhere, even in them. If we are to move beyond the literal, beyond the historical, beyond the metaphorical to the life-changing meaning of the stories that have been handed down to us, we may just have to give up our tenacious hold upon the notion of Jesus as some sort of miracle worker who defies the laws of gravity, and time and space. Like my Kiwi colleague Clay, I no longer need to believe in a miraculous Jesus in order to experience the mysterious Christ who lives and breathes in with and through Christ’s body here and now. The writer of Luke/Acts is preparing his audience of God lovers for the arrival on the scene of the very Spirit of God that lived and breathed in with and through Jesus. So, as we approach the celebration of Pentecost, may you find in these stories handed down to us by our ancestors in the faith an inkling of the powerful presence that Jesus’ first followers experienced after Jesus had left them. May the joy they felt at the realization that the God they saw in Jesus they now found in themselves. May the realizations that those first followers experienced in Jesus’ departure, when they discovered they could love as extravagantly as Jesus did, that they could live as abundantly as Jesus did. That they could bring about healing and reconciliation just as Jesus did. May these realizations live and breath and have their being in you. May you know the joy of seeing Jesus point the way, the joy of finding God, may you know the God Christ points to who is everywhere, even in you. May you love as extravagantly as Jesus loved. May you live as abundantly as Jesus lived. May you be Christ’s Body here and now, in this place in this time! The celebration of Jesus’ Ascension is a church festival that I have always chosen to ignore. The ancient tradition that has Jesus floating up into the clouds stretches the credibility of the church to such an extent that I’ve always assumed that the less said about the Ascension the better. But last year I was challenged by a parishioner to try to make some sense out of the Ascension story so that 21st century Christians would not have to check their brains at the door should they happen upon a congregation that still celebrated the day. What follows is a transcript of my attempt to leave behind the miraculous Jesus in order to be better able to welcome the human Jesus down from the clouds. I am indebted to Bishop John Shelby Spong together with Clay Nelson (formally of St Matthew-in-the-city, now serving Auckland Unitarians) for their liberating insights. The celebration of Jesus’ Ascension is a church festival that I have always chosen to ignore. The ancient tradition that has Jesus floating up into the clouds stretches the credibility of the church to such an extent that I’ve always assumed that the less said about the Ascension the better. But I was challenged by a parishioner to try to make some sense out of the Ascension story so that 21st century Christians would not have to check their brains at the door should they happen upon a congregation that still celebrated the day. What follows is a transcript of my attempt to leave behind the miraculous Jesus in order to be better able to welcome the human Jesus down from the clouds. I am indebted to Bishop John Shelby Spong together with Clay Nelson, formerly of St Matthew-in-the-city and now a minister at Auckland Unitarians, for their liberating insights. Like my Kiwi colleague Clay Nelson, I no longer need to believe in a miraculous Jesus in order to experience the mysterious Christ who lives and breathes in with and through Christ’s body here and now. The celebration of Jesus’ Ascension is a church festival that I have always chosen to ignore. The ancient tradition that has Jesus floating up into the clouds stretches the credibility of the church to such an extent that I’ve always assumed that the less said about the Ascension the better. But last year I was challenged by a parishioner to try to make some sense out of the Ascension story so that 21st century Christians would not have to check their brains at the door should they happen upon a congregation that still celebrated the day. What follows is a transcript of my attempt to leave behind the miraculous Jesus in order to be better able to welcome the human Jesus down from the clouds. I am indebted to Bishop John Shelby Spong together with Clay Nelson of St Matthew-in-the-city for their liberating insights.